The Story: Classic arcade video game gets CGI filled blockbuster treatment. 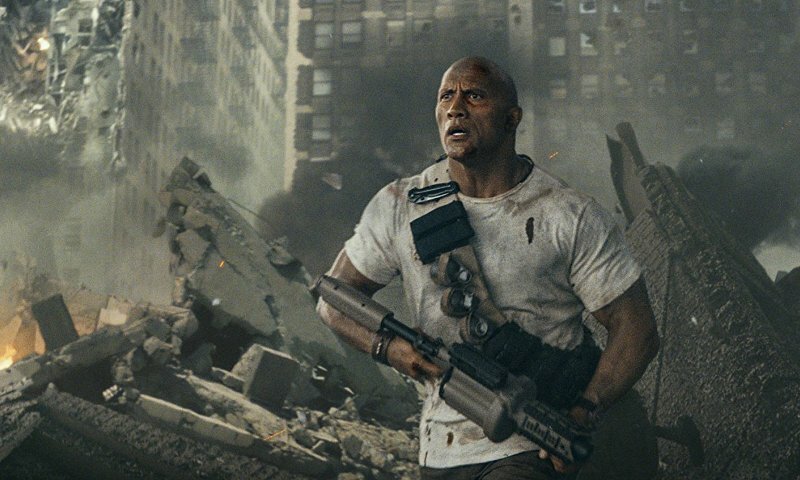 Director Brad Peyton has now made three movies with Dwayne "The Rock" Johnson in the lead role and, while each one has gotten bigger, the emphasis has always been on having fun. Journey 2: The Mysterious Island was a surprisingly fun and energetic sequel and San Andreas basically followed the modern blockbuster blueprint with huge special effects and an even bigger leading man. Rampage takes all of these elements and throws them together in hopes of Hollywood finally getting a successful video game adaptation on the big screen. This is not the type of movie you pick apart, analyze, and study for accuracy and logic in it's story telling, it is a movie that you kick back with your favorite movie snacks and enjoy the heck out of it. Seriously, if you think about the movie too much, you will start noticing all of it's faults, and there are plenty. Logic gaps, bad dialog, horribly rendered villains, and so on are all here but you know what. 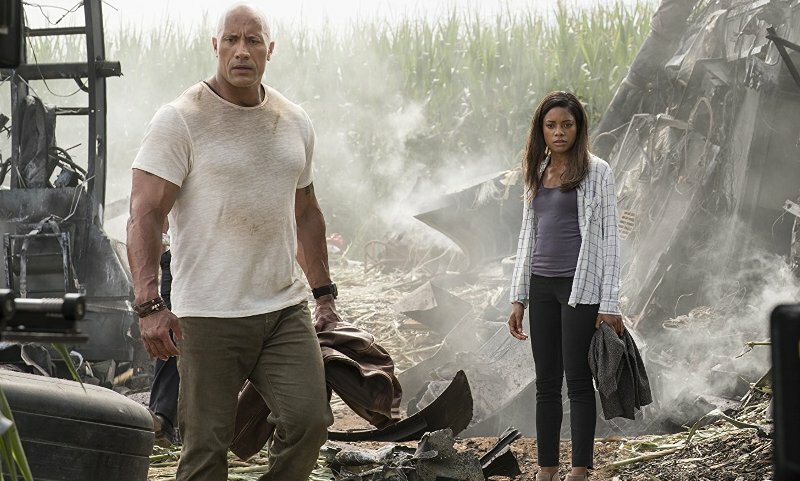 Who cares, the movie is fun and The Rock is the biggest action star probably ever with no apologies to those who have come before him. Also, I really like Naomie Harris. She needs to be a big star. 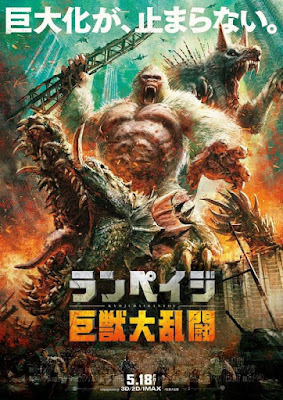 Rampage is a fun movie with big monsters and lots of explosions so, if you like that sort of thing, go see it right away. Personally, I had a great time watching this movie and I hope you do, too.